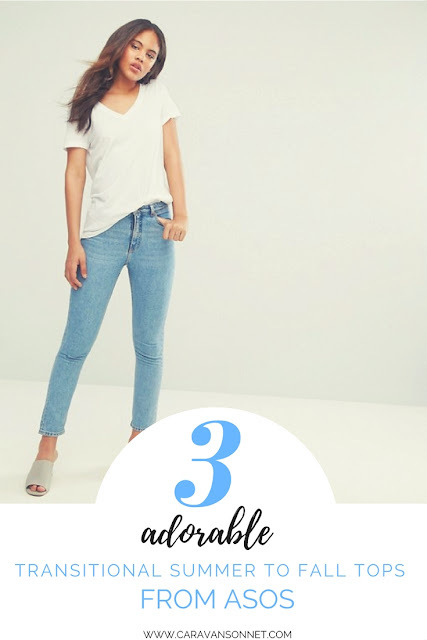 Y'all know how much I love ASOS and today I am excited to share 3 transitional Summer to Fall tops from the website! A classic white v-neck top is the perfect transitional piece for summer days to fall days. I love this tall v-neck one from ASOS. It is incredible soft and the I love that it is perfect to wear alone for the summer with jeans or in the fall with a jacket. There are a lot of different white tops that ASOS carries, but this classic one is gorgeous. You can find it HERE. 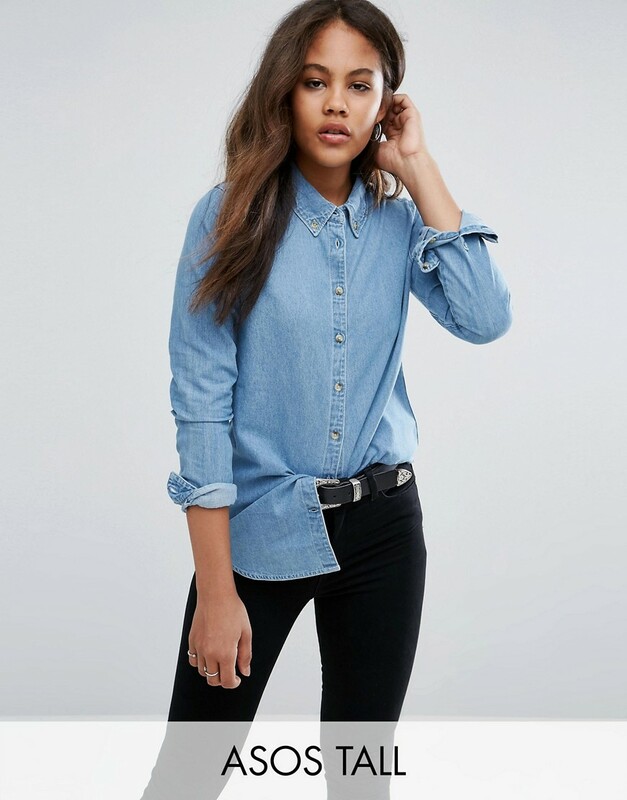 Seriously, y'all- I love this denim shirt in this midwash blue color. How cute is this?? You can find the top HERE. 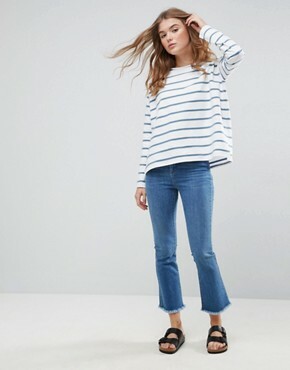 This adorable striped top is so cute and perfect for summer nights on the boat and yet perfect to take into the fall. You can find it HERE! These are just a few of the adorable transitional and cute shirts that are available from ASOS! I can't wait to share more tops for the fall in the upcoming weeks! What about you? Do you have any favorite transitional tops that you love? Happy Friday friends! I hope y'all have a wonderful day!